A Malaysian pianist currently studying Master of Music (Piano Accompaniment) in Royal Conservatoire of Scotland. Active in piano accompaniment for vocalists and instrumentalists and had accompanied soloists for many competitions, camps and examinations internally and externally. I have not had any long term experience in teaching but I had a few experiences as a replacement teacher for short term. 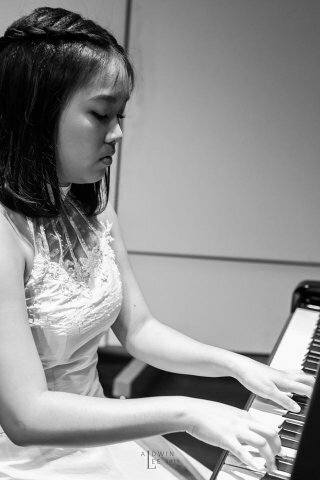 Although I am new in the music teaching industry, I had studied Piano Pedagogy during my Bachelor Degree and had knowledge about how to teach and communicate with a student based on their different characters. For piano, I will focus on the techniques and musicality of the student as these two aspects are the most important in playing and expressing a music. A music cannot be expressed if either one of the aspects is missing. Thus, I will be using various methods and repertoires ranged from solo to accompaniment to allow the students to grasp these two aspects. For music theory, creative methods will be applied in order to let the students implant the basic yet dull theory into them. I will also teach them some music history too so that they can understand the background of the music they are learning. Hence, the students will be an all-rounded musicians.